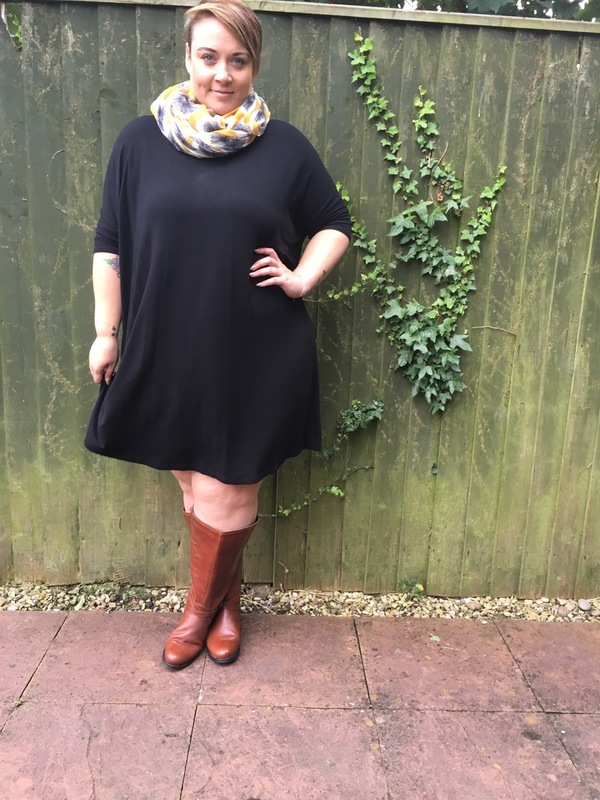 Style: Wide Calf Boots made easy! 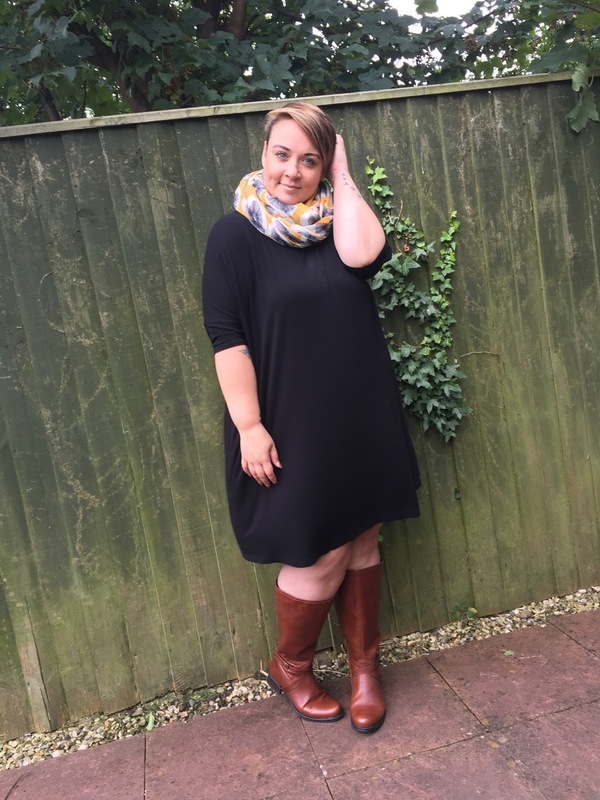 Well it looks like Autumn is finally making an appearance, and it may be time to say goodbye to the flip flops and dig out your winter boots. One of the items I often find a lot of plus size women struggle to find are knee high boots. I know from personal experience, finding the right wide leg boot can be difficult. 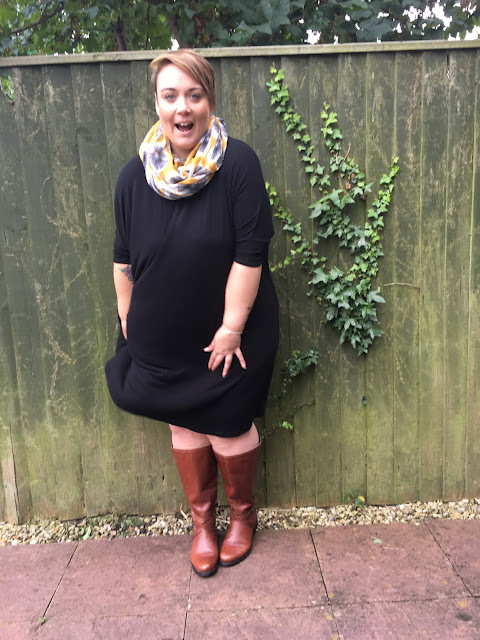 All too often retailers will often claim to stock wide leg boots, yet they don't have the specific leg measurements on the site, or they simply aren't wide enough. The Wide Calf Boot Store solve all your problems, with boots categorised by measurement, you can simply measure your calf at home, and start shopping! And that is just what I did. I have a 20 inch calf, so I was able to choose from a wide range of boots. Once you pop in your measurement, the site will tell you what size you are (XL/XXL/XXXL for example). 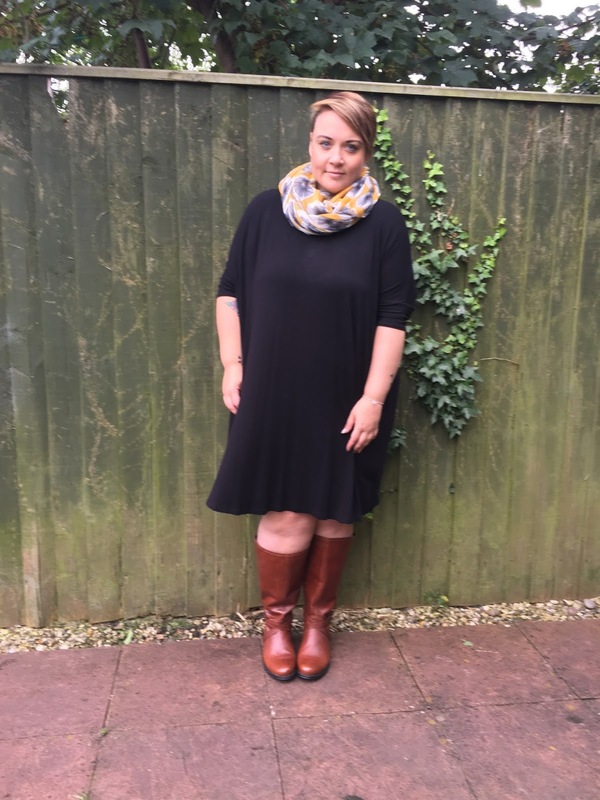 I went for a classic tan, biker style boot, and low and behold, for the first time in my chubby calved life, these boots were actually loose on me... I KNOW!! 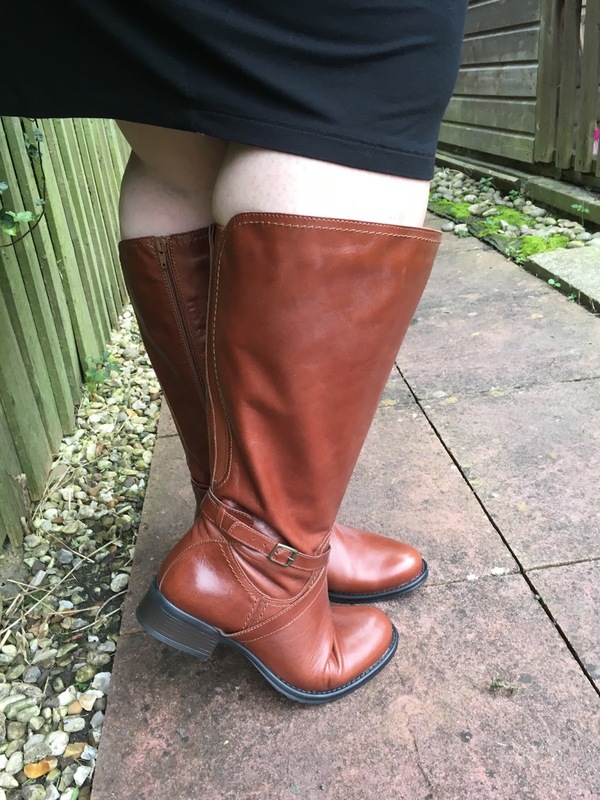 The boots are a soft tan leather, the foot itself is wide fit, along with the calf. There is an elasticated panel which will allow for even more stretch should you need it and there is a little bit of a heel, just for a bit of elevation. Can we once again congratulate my 6 year old on her fab photography skills! I don't know what I'd do without her, she even directs me, the bossy little pickle! Looking fab Becky - that dress is a beaut. Love those boots I might have to get a pair in black would be perfect for work.